Who is Hozier? Well imagine a warped combination of George Ezra, Alex Clare, Woodkid and Imagine Dragons. The more low-tempo elements to Hozier reminds me of Ezra, the hard-hitting vocals scream Clare, the sometimes dark inventive nature of Woodkid’s music is here, while Hozier also hangs onto the same fringes of pop as Imagine Dragons. Besides the comparisons, you’re probably familiar with Hozier’s breakthrough single- Take Me To Church, which just missed out on the number one spot in the US, whilst reaching number twenty here in the UK. 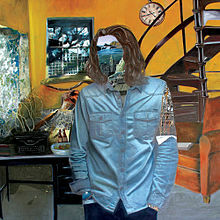 The most impressive thing about Hozier is his voice, besides the inventive indie riffs that dress up the LP, Hozier’s vocals are the most memorable. He slots into the same sort of category of F.U.N.’s Nate Ruess, or the aforementioned Imagine Dragons’ Dan Reynolds, with those unreachable notes you can only dream of singing along to. The chilled-yet-stirring From Eden sways along with a noticeably stripped back instrumental, while the Black Keys–esque Jackie and Wilson shreds along with the garage rock infused guitar. Besides the flirtation with the above genres, Hozier dips into elements of country music such as on Someone New, but the garage rock guitar is still there to give it that added kick. However, Hozier also almost unnoticeably criss-crosses into classic R&B and soul, this above all should tell you how inventive his self-titled album is. It’s impressive to see such a wide variety of genres conquered with such ease, while also encompassing them all within a single project- the album never seems scattered or crowded. Hozier’s debut is a solid effort. With a commercially successful lead single, a critically acclaimed album to follow, and with so many different genres tackled, it’s clear to see why Hozier is such a raved-about musician. For some the album will be an effortless listen that floats by with co-operative riffs and undemanding drum claps, while for others [like me] it’s an album that sticks with you, demanding another listen- it’s just as impressive the next time round.